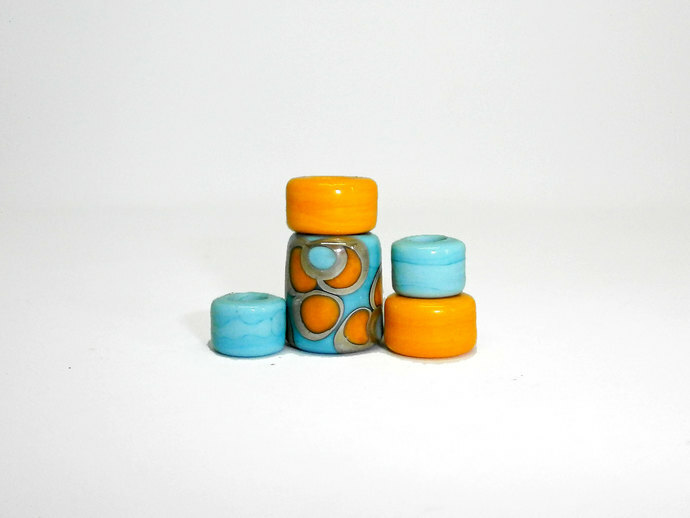 This is a Hippie Barrel Bead Set in Sunny Yellow and Light Turquoise Blue - This is another set in my interpenetration of Vintage Sari Silk in Glass as I am calling this Flower Power as there is an abstract flower pattern on the Focal. 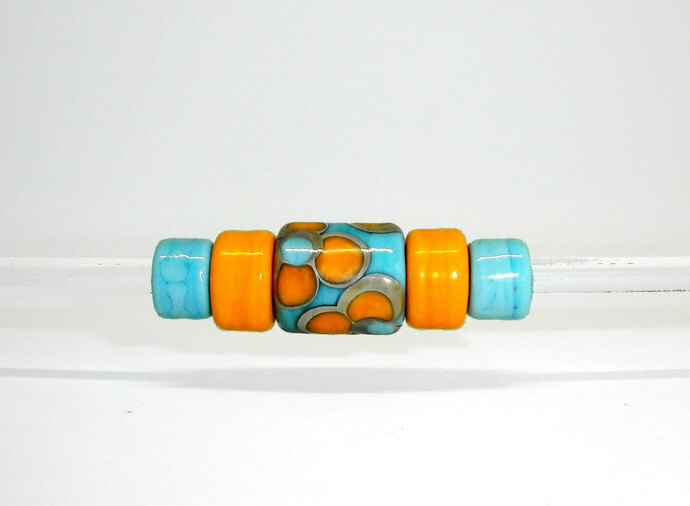 I have used my favorite CIM and Effetre colors with Reactive Double Helix for some Brassy Shine and I have slightly overcooked the glass to get a slightly grungy feel to the set. 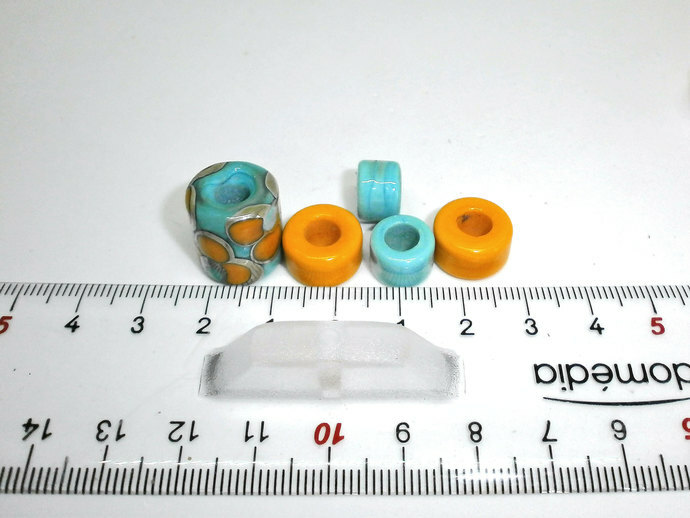 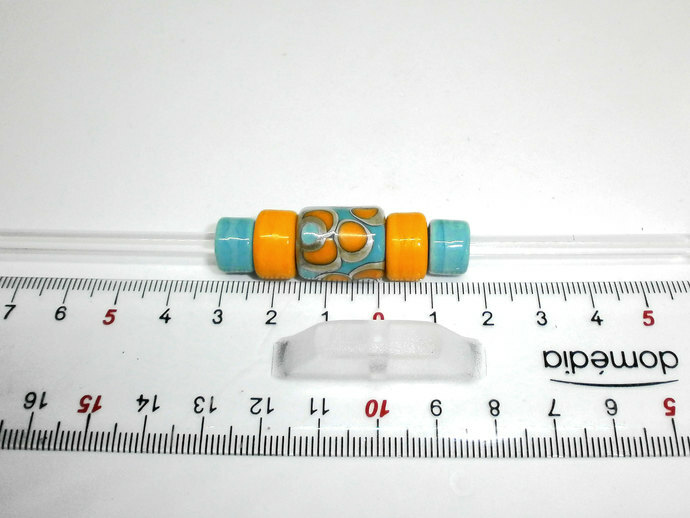 Bead size: The Focal measures 15mm from hole to hole and 13mm in diameter, the two Yellow companion beads measure 7mm from hole to hole and 13mm in diameter and the 2 little Blue spacers measure 7mm from hole to hole and 10mm in diameter. 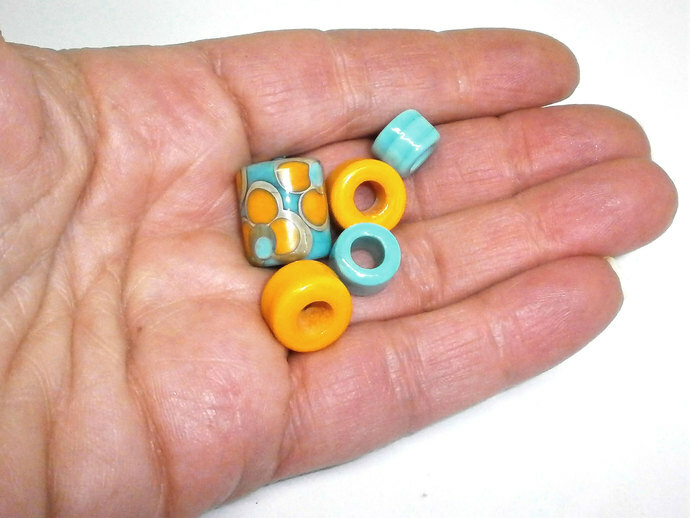 I used CIM, Effetre and Double Helix in this set and all my beads go directly from the flame into my digital kiln.